REGALED, our COB-LED shelf displays for best advertising at the pos! 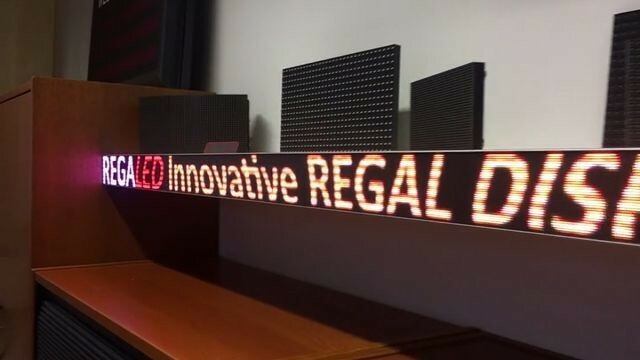 RegaLED signs are, as the name implies, specially design cob-led shelf displays for attachment to, in front of or under shelves in shops, on exhibition boothes, in beautiful car dealer stores, at jewelers, in fine boutiques and so on. Shopfitting specialist are happy that our COB-LED-shelf displays can also be used for build-in at furnitures and all other panelings around the shop area. More attention for the products on these shelves! Inside the shop there is a big overstimulation. It´s not easy, here to promote products between all the other products, and this with style. More and larger posters, more colorful, more projecting in corridors … . More, more and always more is often still not enough and also not looking nice anymore. Here are simply limits. With our new COB-LED-shelf displays you can set new accents without any additional space requirements. Catch glances with movement, light and colors. Because the feet go to where the eyes already were. Interest for best promotion at POS to sell more products? Contact us, we will send you more infos about our RegaLED series! In this case “VIP” stands for “very important product” or “very important profit”. Phrases like “I did not notice that” you will not hear anymore if these products will be placed on your special VIP shelves. On our slim and elegant COB-LED shelf displays you can inform directly at your product about the model and the brand, special details and the price and so on. Eye-catching moving company logos and scrolling messages which are informing how to use this product. Targeted advertising to have the desired purchase incentive. You can show logos, pictures and fonts in the right colours, without any restrictions. All you can show on your pc monitor can also be shown in corresponding resolution on our COB-LED shelf displays, Text, graphics, animations and even videos will give your advertising attention and thus ensure a corresponding increas in sales. One RegaLED unit is 360 mm long. As our COB-LED shelf displays are left and right frameless styled, they can be joined together in any desired length. It makes no sense just to place the led area continuous in a very long line of lot of meters. It´s much better to make directly below your product at this shelf your promotion. Maybe 1 or 2 meters away you have a other product to promote, then you can control both parts together. Multiple COB-LED shelf displays can be synchronized with each other. COB means “chip on board”. There are no single light emitting diodes anymore. 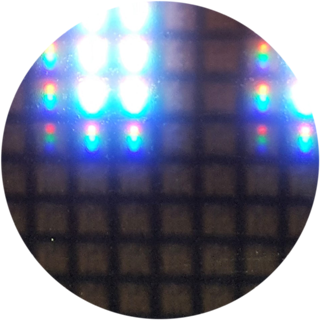 The led chips are processed “naked” directly on the pcb, without a led-housing. After sealed smooth and anti-reflective it is resistant against dust and moisture. This makes our COB-LED shelf displays easy to clean, which is always important in shop areas. COB LED technology also impresses with a excellent thermal management, since the ship can dissipate the heat direclty via the printed circiut board material. No single patch led body means also a perfect wide viewing angle without any color shifts. With a pixel pitch of just 1,8 mm our COB-LED shelf displays achieve a excellent image quality even from a short viewing distance. The resolution is 32 pixels in the height and a multiplicity of 192 pixels in the width. Our RegaLED Shopfitting displays are 28 mm slim and have a anti-reflective display front. Directly at the POS and without much effort you can advise and inform with our COB-LED shelf displays. Often the one or other question will then becomes unnecessary to your sales staff. The investment in RegaLED displays is very low compared to the benefits. You can also use it just on one or two shelves, test the success and expand later the system. You have interest and you need more infos? Contact us, we will send you a concrete quotation!